Born in Cedar Rapids, IA, along with a fraternal twin named Michael, Ashton Kutcher is a former model who caught the acting bug in high school. Kutcher’s fame would skyrocket in 2003 thanks to his MTV prank show “Punk'd,” in addition to his high-profile romance with the much-older Demi Moore. Two years later, his producing abilities were again displayed with the launch of the WB reality series “Beauty and the Geek,” which was an immediate hit. 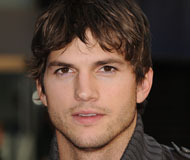 Behind his production company, Katalyst Films, Kutcher is considered to be one of the top producers in Hollywood today.